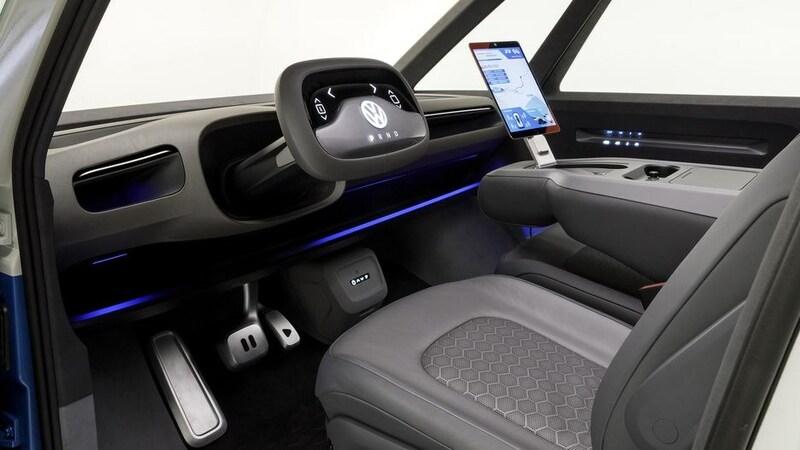 Volkswagen is deadly serious about turning itself into the world's premier electric car manufacturer - so it was only natural that the message at the 2018 Los Angeles Auto Show was all about EVs. 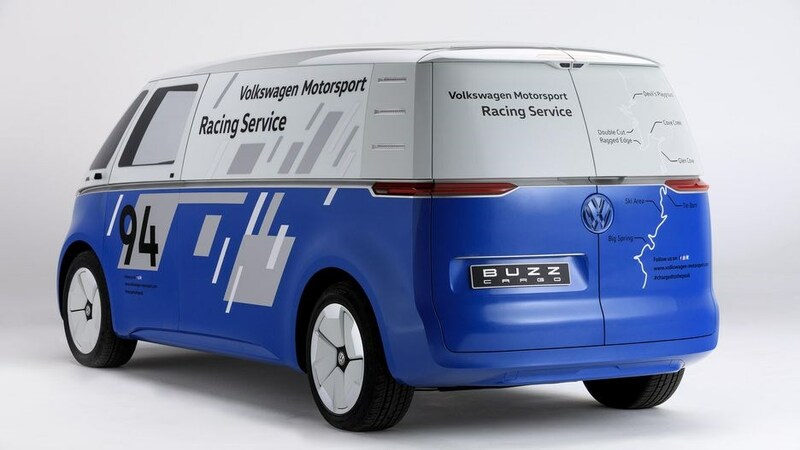 The new VW ID Buzzo Cargo was a motorsport-flavoured electric van, designed to reinforce the brand's commitment to electrifying every strata of its range. It's not the first time we've seen the Buzz Cargo; it first popped up in September 2018, but it bore a new livery at LA - appropriately enough it was spruced up to act as a support vehicle for the ID R Pikes Peak electric racer sitting alongside. 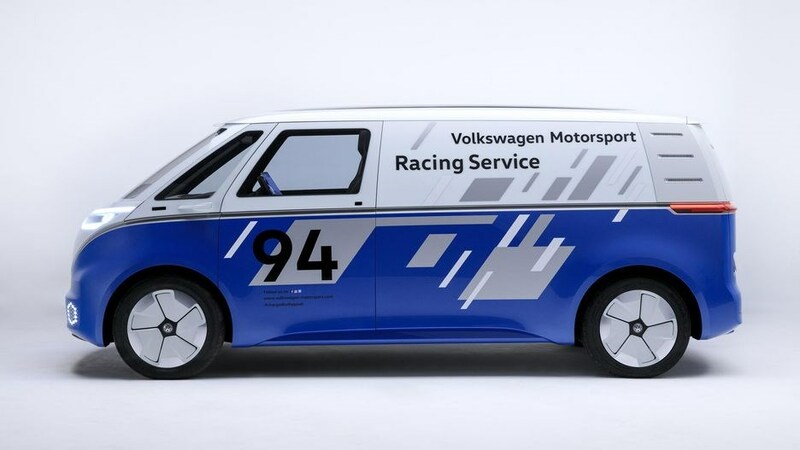 So there's a blue-and-white VW motorsport colour scheme and lashings of space inside to store the car parts and accessories necessary for race weekend. 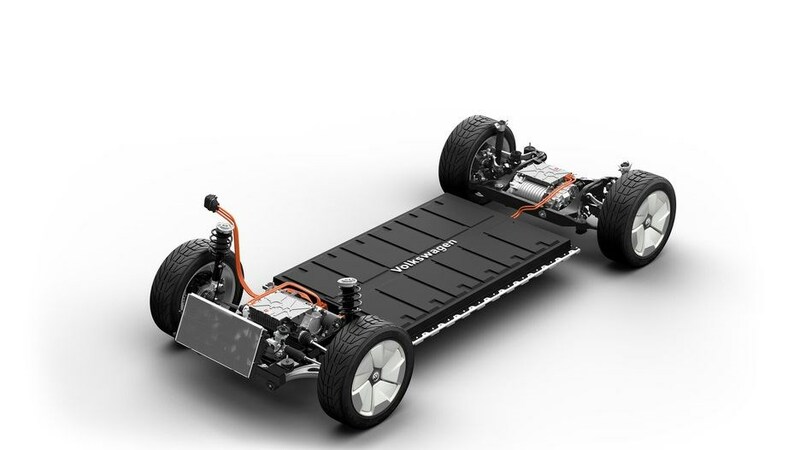 Based on the Volkswagen group's new MEB electric car architecture that's nearing production readiness, the ID Buzz Cargo has a 201bhp electric motor at the rear axle and the range is estimated at between 200-340 miles, depending on battery spec. 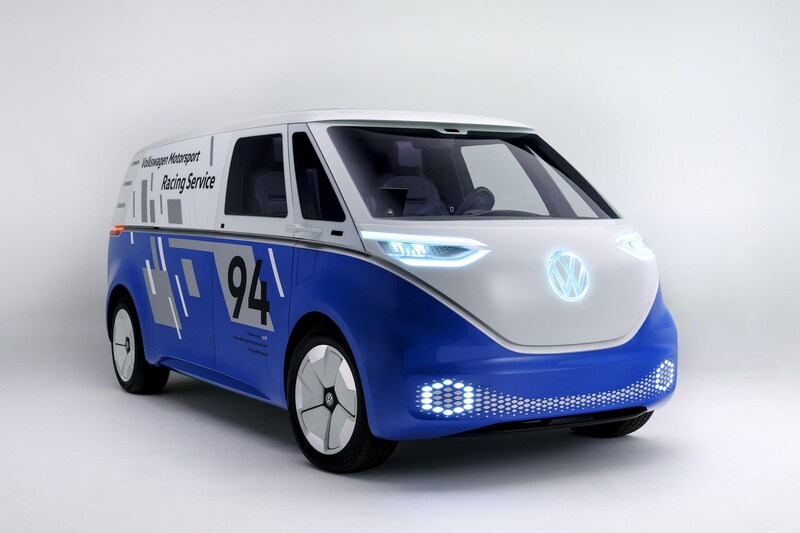 The deliver space is a natural target for electrification: during its press conference, VW claimed that 11.7 billion packages were delivered last year in the US alone, an increase of 8% on the year before. 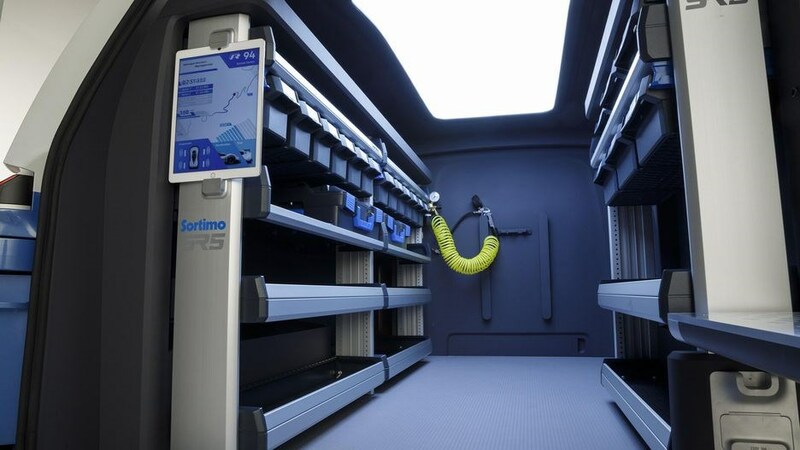 Many of those parcels would have been dispatched by gas-guzzling old-tech vans - and that CO2 footprint is hardly great for an increasingly e-commerce society. 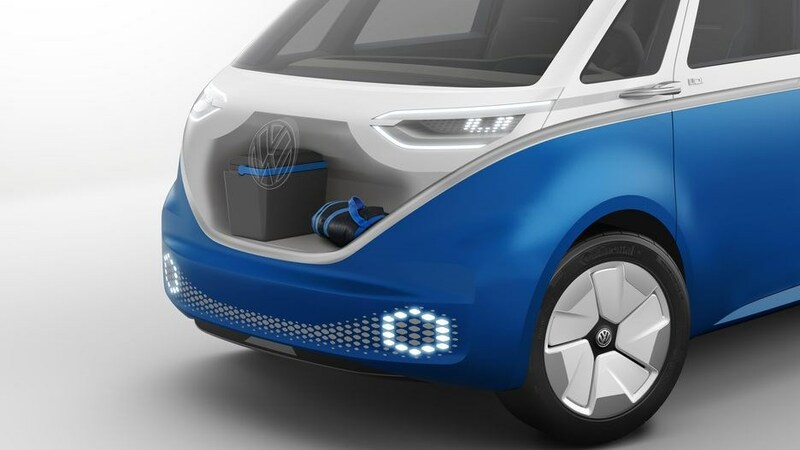 With delivery trucks and vans making up 7% of urban traffic yet contributing 17% of pollution and congestion costs, a silent, electric van like the ID Buzz Cargo could be just the thing to clean up city streets.